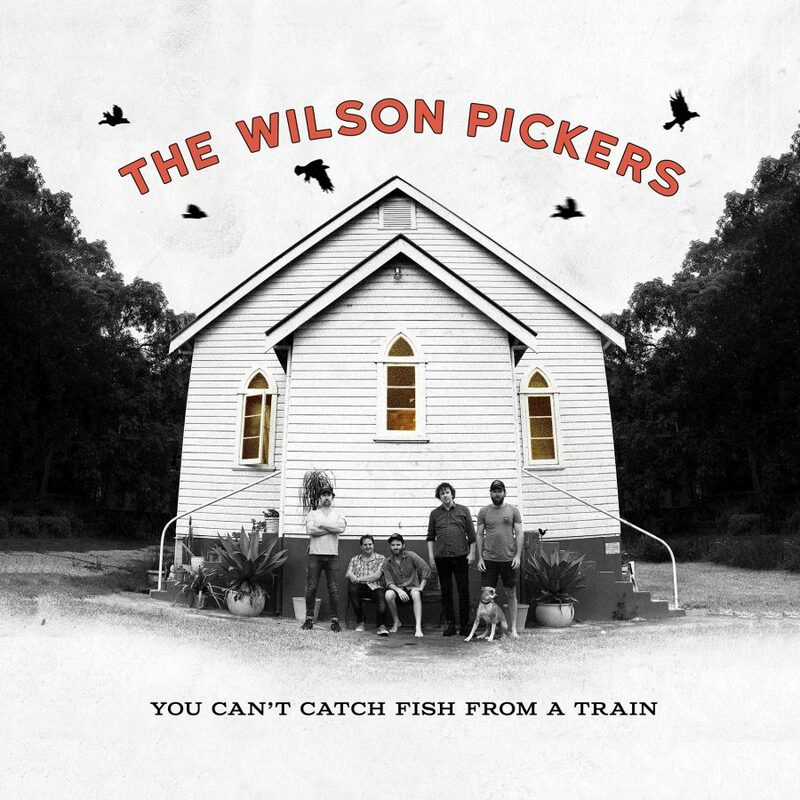 The Wilson Pickers » You Can’t Catch Fish From a Train Tour has been Announced !!! You Can’t Catch Fish From a Train Tour has been Announced !!! with a string of shows this spring. The Wilson Pickers are hitting the road this spring with a string of shows to launch their third album, You Can’t Catch Fish From a Train. Recorded in the round at Church Farm Studios in Billinudgel, NSW over three days in February this year, the album returns The Wilson Pickers to the bluegrass instrumentation and five-part harmony singing that propelled this side project to centre stage in 2009. Both their previous albums have been nominated for ARIA awards and the band are calling this release their best work yet. Ben Salter, Sime Nugent, Andrew Morris, Danny Widdicombe and John Bedggood formed the fabled Wilson Pickers as a side project and went on to record two studio albums – The Land Of The Powerful Owl (2009) and Shake It Down (2010). Along the way they built a reputation for their live shows and the group’s skill and eagerness to have a great time playing music together. This made them a crowd favourite at major festivals across the country. The Pickers had a long pause while beloved band member Danny Widdicombe underwent treatment for leukaemia. But this album is more than a reunion for five of Australia’s finest singer/songwriter/multi-instrumentalists. They had unfinished business. Nick DiDia (Bruce Springsteen, Rage Against The Machine) mixed and mastered the album. There are guest appearances by Bernard Fanning (Powderfinger) and Rod Coe (Slim Dusty) making this highly anticipated release a very well credentialed recording with a lot of heart. You Can’t Catch Fish From a Train is out through ABC Music / Universal on August 26.